And thus began a movement. 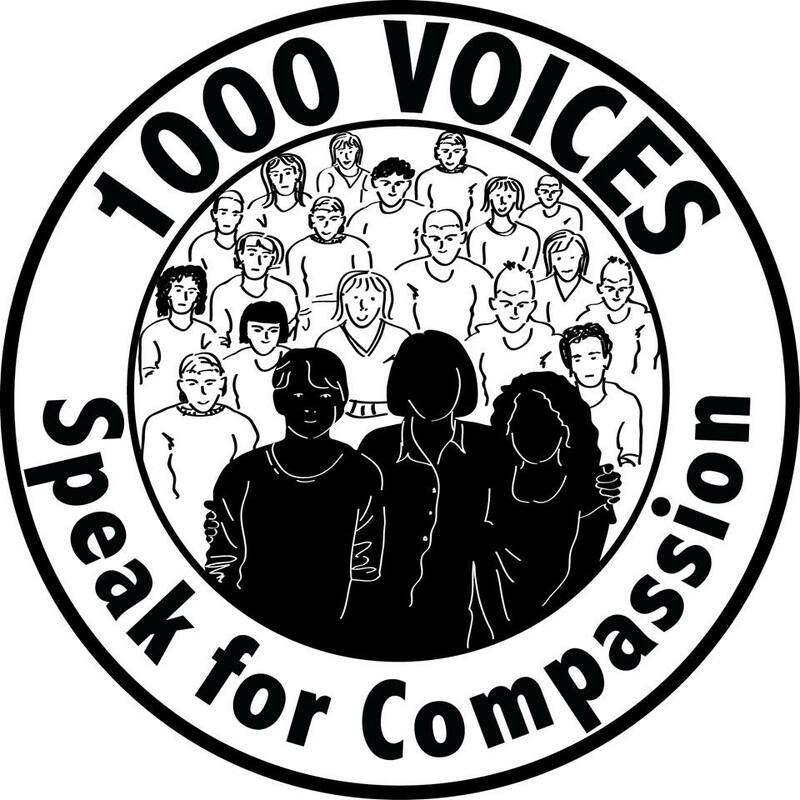 1000 Voices for Compassion. 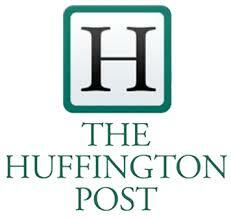 A call for bloggers to join together on one day to speak out in the name of compassion. To stand up to the bullies and the killers and the harmers and the haters. To make the voices of the good drown out the insatiable voice of negativity and hatred. Within 48 hours 500 bloggers had joined the movement. Today, 690. People are moved by what Yvonne and Lizzi started. Most of us write because we have to. Often we write about things that move us. Things we care about. Things that we think maybe need to be heard. Some of us have been floundering under the oppressive weight of heartbreak over everything that we’re reading and hearing and seeing in the world. Most of us want to do something. Words change minds and change lives and words have power. And all of our words together? So, this is my plea. If you’re tired of the negativity that permeates the news and social media. If you’ve grown weary of all the violence in this world. If you’re tired of the “us” and “them” mentality and want to be a part of “we.” If you are ready for things to shift, for something to change… then write. Speak. Be a part of this movement. Maybe someone someone will hear us and feel wrapped in the comfort of knowing that people care. Maybe someone’s hardened heart will soften just a little. Maybe positivity will breed more positivity. Maybe all of us together will be heard. Maybe we can convince the “us” and the “them” to join. Because your thoughts might add to the thoughts of others who want to create change. And if enough of us join in eventually we’ll be heard. Eventually those trudging through life will hear our concert of thoughts and lift their heads and open their hearts. So please, join in. All of you have something to say. All of you can be a part of something good. How: Write a post about compassion. What it means to you. How has it affected you? How we can bring more of it to those who need it. Really, there are no rules, just as long as it’s about compassion. Participate: via FaceBook go to this link and request to join. *If you’re not on Facebook but would like to join you can let me know in Comments, below, and I’ll add you to the mailing list. I reblogged this on my Catch a Falling Star Blog. I am seriously caught up in this wonderful movement just like you are and hope to spread the fever. This is a wonderful post to explain something I have become totally caught up in. I am looking forward to writing about and reading about Compassion. I so love this. Already thinking about my post. I love that kindness is finally getting it’s own movement…not specific kindness like anti-bullying, etc…but just COMPASSION in all its forms. Promote this on #MondayBlogs and #wwwblogs and you may have to change your #number. Wouldn’t that be cool. Thank you… I think I did promote it. I just hope this whole project does something really good and takes off! Yay!!! So glad you’re participating! Great! I’m so glad you’re taking part too! Can’t even tell you how much I love this, and how proud I am of my Sisterwife Lizzi for helping to create such amazingness. And to echo Gretchen, I have to say thank YOU for introducing the two of us. Words do matter. Such a beautiful post – and can’t wait to see how many blog on Feb. 20! Me too! My excitement about this is making it hard to concentrate on much else! Isn’t it a great idea? I’m so glad you’re going to be a part of it! I have read so many beautiful posts about this already and yours is another one Gretchen! Thank you! This post is really something else, Yvonne. I have seen a few more truly great ones already, and I haven’t actually had time to read very many. But enough bloggers I pay attention to are supporting this to make me take real notice. I think there will be more. Not sure we are quite over the tipping-point yet, but everything I am seeing tells me this idea is spreading. It could snowball on you next week. Thank YOU Yvonne. I know your head must be spinning from all of this. Who knew that question you posed would have gotten us here in a few short days? I’m so glad you had the idea and even more grateful you didn’t hesitate to put it out there! Shared, reblogged, and I’m IN! Thanks for posting. I’m so glad you’re in Sally! And thank you so much for reblogging! P.S: Can we use the logo in our posts? Is there a link or do we just copy and paste? Copy and paste. The whole point of the logo is to spread the idea. The images are also posted in the facebook group, but no idea how to find them except scrolling through. That is a very busy group right now. And thank Gretchen that you found out from this through me, because she shared it with me. You can also thank Diana and Sabina, who you may or may not know as Part Time Monster and Victim to Charm, because they joined up while I was at work. It was the fact that all three of them were agreeing that convinced me to write that first post. Thank you Gene’O for answering this. I got completely entrenched in family life yesterday and had not a spare moment to answer anything! Yes. Words matter! What is it I say? Every social movement that ever existed started with a few people talking? Somethin’ like that. Good that you went sparse with this one, word-wise. That had to be a challenge. The one-line paragraphs are effective, and the passion comes through for sure. We are so on the same page about this stuff, so consistently, it’s a little scary. Ha! I think this is the shortest post I’ve ever done! And wordiness would not have been helpful here. It actually wasn’t a challenge. It was easy to make this short. If only I could figure that out with everything I write! And isn’t it funny how we think alike about these things? I think that’s why the first post I ever read of yours was about a cause you were promoting and participating in (NSA overreach, correct?) I was like “YES! Someone who is passionate about important issues!” And now look at where we all are. Pretty cool. Yar. Very cool indeed. Is that my first thing you ever read? That was a crazy weekend. First time I ever genrated a thread over 40 comments with a post of my own. Hahahah BOOM! Also LOVE THIS! Completely. And I’m grinning because some of the hooks you’ve used are ones I’ve used in the *gulp* vlog! Yay!!! Just so you know, I’ve caught myself almost saying “first” in real life.